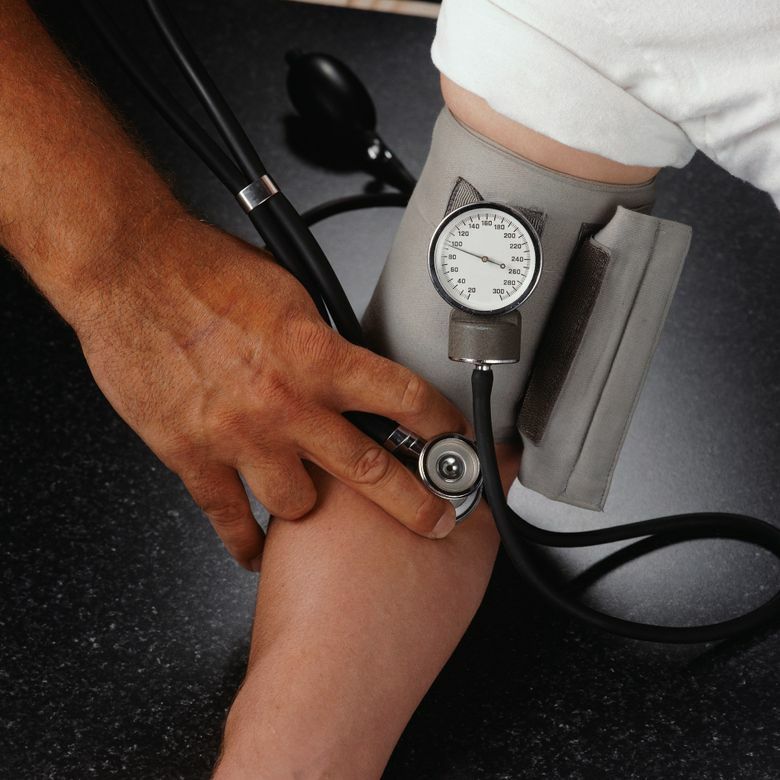 Controlling blood pressure is crucial for good health. Joe and Teresa Graedon answer readers’ questions. This week: asthma treatments causing voice loss; hydrochlorothiazide linked to skin cancer; healing deep finger cuts. Q: I used Advair to treat my asthma for several years. Bit by bit, I started getting hoarse. It got so bad that people constantly were asking me to repeat myself, and no one could understand me over the phone. I stopped using Advair, and the hoarseness went away, but my breathing got worse. Do you know of a solution? A: Inhaled corticosteroids and bronchodilators are a cornerstone for treating breathing problems like asthma and COPD (chronic obstructive pulmonary disease). Drugs like Advair (fluticasone plus salmeterol), Breo (fluticasone plus vilanterol) and Symbicort (budesonide plus formoterol) are a convenient way to relieve airway inflammation and make breathing easier. Inhaled steroids are less likely to cause systemic side effects, such as osteoporosis, diabetes and low potassium, than oral drugs like prednisone. However, many people report voice problems as a side effect (Journal of Voice, May 2017). Researchers have made little, if any, progress on understanding and treating this problem. Q: I read on your website that hydrochlorothiazide is linked to skin cancer. Your alarmist piece will not cause me to hesitate in popping my HCTZ this morning. Its protective effects against heart disease and stroke far outweigh these findings, IF they have any truth to them. You mentioned 100,000 mg of HCTZ. Get serious! Nobody takes that much. A: Danish researchers previously found a strong association between long-term use of hydrochlorothiazide and squamous cell cancer of the lip (Journal of Internal Medicine, October 2017). Their most recent study reported that people who had taken a cumulative dose of at least 200,000 mg of HCTZ over many years were seven times more likely to be diagnosed with squamous cell carcinoma (Journal of the American Academy of Dermatology, online, Dec. 3, 2017). Controlling blood pressure is crucial for good health. There are, however, many ways to do so. We are sending you our “Guide to Blood Pressure Treatment” so you can explore some of the alternatives with your physician. Anyone who would like a copy, send $3 in check or money order with a long (No. 10), stamped (70 cents), self-addressed envelope to: Graedons’ People’s Pharmacy, No. B-67, P.O. Box 52027, Durham, NC 27717-2027. Or download it for $2 at peoplespharmacy.com. Q: I have had issues for years with cracking on my fingers, like deep little cuts. The only thing that ever helped was New-Skin liquid bandage. It burns when I first put it on, but it seals the cut and keeps it from getting bigger and deeper. Within a few days, the split heals. A: Many other readers like liquid bandage for healing cracked fingertips. Some also report success with household instant glue (cyanoacrylate). Doctors now use a medical grade of instant glue to close some wounds.